I was in the mood for a snack before a quick nap… I will be twisting my hair (myself) this evening and it takes HOURS. 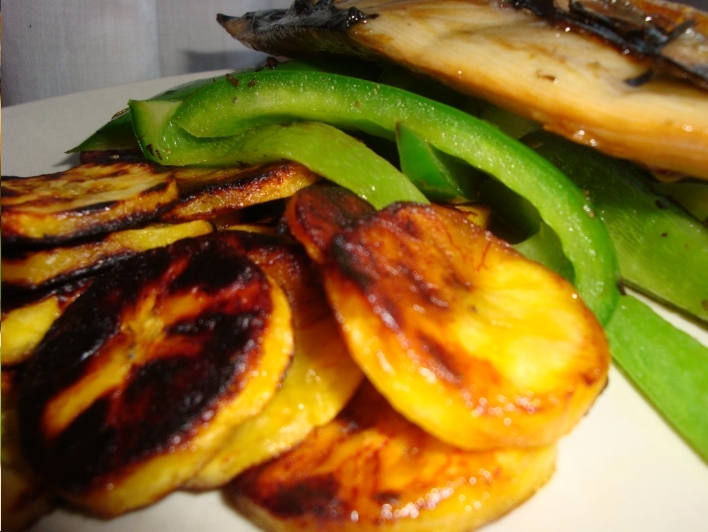 Add the plantain to the pan and fry on medium heat. Turn after 4 minutes and cook for another 3-4 minutes. 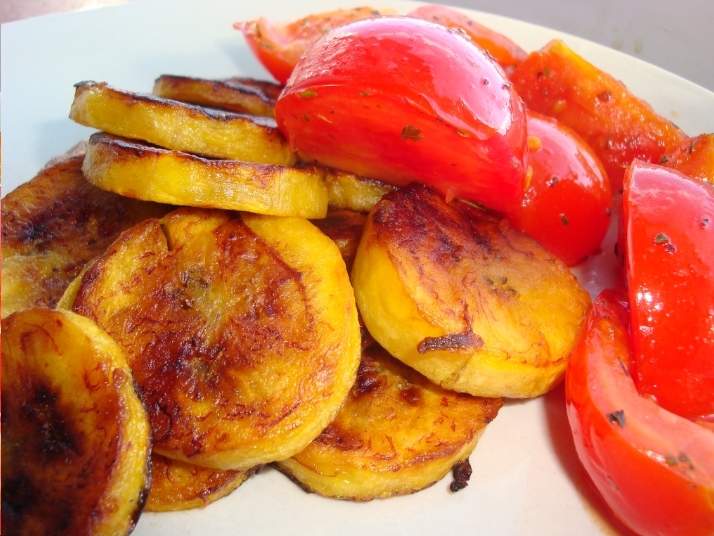 When the plantain’s cooked, serve it on a plate. Add some mixed herbs and toss tomatoes in pan every 30s. Any vegetables of your choice and here I used sliced green peppers with mackerel. This entry was posted in Eat In, Healthy Eating, Healthy Nigerian Recipes, How To Cook Healthy Food, Plantain, Recipes on August 21, 2011 by Adura Odesanya. This looks yum! 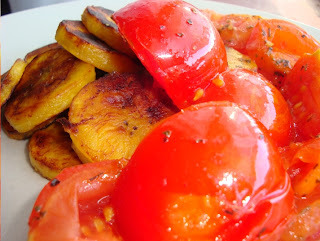 Just like dodo but without the deep frying! I’m going to have to try it out!!! You’re right Vickii, it tastes exactly like dodo. And it smells so nice too (thanks to the coconut oil). I know what I’ll be having on Saturday right after I get back from grocery shopping. btw, where do you get your coconut oil? Hi 🙂 Are you in England? Holland & Barrett are currently doing a Buy 1 get 1 for a penny sale on Coconut Oil. Most health food shops sell coconut oil… Whole Foods too.